← Canada Without a Government? Still on the Books – can you believe it? British Columbia have a few laws that they never bothered to take off the books. Some of them are wacky and ridiculous in this day and age. People of Oak Bay, for instance, seem to prefer cats to dogs. The law there says that you can keep as many as 5 cats “per parcel of land” but no more than 2 dogs over the age of 4 months. If the dog has puppies, you have a month to report the news to a License Inspector. 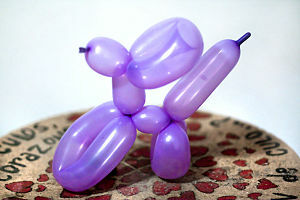 And in Victoria, it is illegal for buskers to give out balloon animals to children. Laws such as these make a mockery of the law. Great read. Very interesting. I wonder what they were thinking at the time to create such law? I wonder — do they have a category for that? Good question. So many choices to do in town to celebrate and I am pulled on both sides. I think I’ll just finish the gardening instead. I’m with you! The real story isn’t the law but the reason some law-making body felt a need to make the law. In my town, there used to be a four way stop on a main street that was established to assure the safety of the children on the north side of the street who walked to the elementary school a few blocks south of the stop. So, for 24 hours a day, seven days a week, 12 months a year, anyone driving on the east-west through street had to come to a complete stop for children who, presumably, walked across it 24 hours a day, seven days a week, 12 months a year to get to school or to return home. At the time it was enacted, some of the City Council members lived north of the through street and had children who went to the elementary school south of the through street …! This went on for over 30 years before someone finally got it across to the powers that be that there was exactly no justification for such a stop, that children attending the elementary school were seen crossing on other corners as well, and that the original reason had more to do with the City Council at the time than any need to regulate traffic. On a happier note, they finally put up a light children and adults could activate when they needed to cross the busier, wider 3rd Street. Interesting. I thought we only had stupid laws in USA. Wacky laws, indeed! It really makes you wonder what incident(s) inspired them to be written in the first place…. 🙂 Have a great Canada Day weekend! Thank you for the kind thought — I am excited about Canada Day! Yes, Happy Canada Day tomorrow if I don’t get back around!